23andMe takes seriously the trust you place in us. 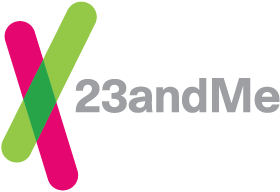 To prevent unauthorized access or disclosure, to maintain data accuracy, and to ensure the appropriate use of information, 23andMe uses a range of physical, technical, and administrative measures to safeguard your Personal Information, in accordance with current technological and industry standards. In particular, all connections to and from our website are encrypted using Secure Socket Layer (SSL) technology. Please recognize that protecting your Personal Information is also your responsibility. We ask you to be responsible for safeguarding your password and other authentication information you use to access our Services. You should not disclose your authentication information to any third party and should immediately notify 23andMe of any unauthorized use of your password. 23andMe cannot secure Personal Information that you release on your own or that you request us to release. We encourage you to read our full Privacy Statement for additional information on our privacy and security practices.